Publicado el abril 24, 2017 por lagunadelibros A.G. In a small cellar, hidden from curious eyes, Dorian Gray hides the mystery of his soul; a beautiful portrait painted by his friend Basil. What dark secrets does this painting keep? What or who makes young innocent Dorian become a heartless monster? Is anyone safe from one’s own self? The Picture of Dorian Gray , a story of beauty, art and pleasures where a young man breaks the link between body and soul and becomes a face without a heart. 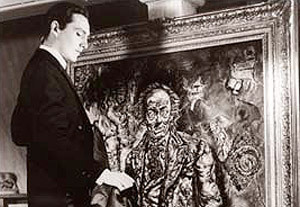 Only the picture painted with love tells the true story, revealing the real Dorian Gray, a man that grew sick of hate. If we dig deeper in the story, we can see that everything that Dorian does is motivated by his own vanity, even the most seemingly altruistic actions. For example, when he left the country girl and wanted to start a new life where he shall be good, the real reason why he does it is to change the portrait, to change the ugliness of his soul, but when he sees that he cannot do it, he tries to kill his unpleasant part, killing himself in the process. Just like Narcissus, he felt in love with his own image, and was ultimately destroyed by it. But, who shall we blame for this? 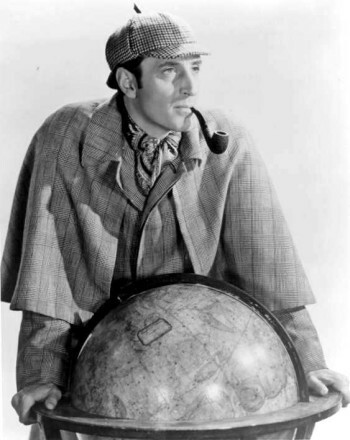 Shall we blame Lord Henry for teaching him his dangerous ideas, or Basil, who was unable to help Dorian? Shall we blame Dorian for his own actions or the superficial society he lived in, where people didn´t believe he had a dark side because of his beautiful face? This is just a matter of whether we think that the people that influence us have power over our actions or that we have full control of what we do in this life. That is just a little food for thought. The characters all represent something. We can say that Lord Henry represents experience, with his hedonistic view of life, always valuing pleasure and beauty over morals and responsibilities, he takes ideas and plays with them, and he gives them wings. On the other side, Basil, represents the good path, the values over the beauty and the innocence in some ways; however we can also say that he had a darker side, because one of the main reasons why he liked Dorian was because Dorian changed his art, so we can say that he valued his art more than his friends. James Vane represents the conscience of Dorian, something that he can´t escape from. We can say that Sybil Vane represents the first love, but I think that she actually shows us that both Lord Henry and Dorian have a very artistic way of viewing life, for example, when Sybil committed suicide, Lord Henry said that her death was a beautiful end to a love story for an actress “That girl never really lived, so she never really died. Don´t cry for Sybil Vane. She was less real than Juliette.” What this say to us is that they kind of believed that life was like a play on the theatre. ASSESMENT:I will give it a nine out of ten because this book really makes you think about the beauty within and of what is really important in life. The portrait is just the mirror where Dorian can see his own soul, what if we all had a portrait like that? Will we all be happy with the way it looks I wonder? RECOMMENDATION: I would recommend this book to those teenagers so worried about the looks, just to make them stop and think for a moment if they really believe that everything that glitters is gold inside. Publicado el enero 28, 2016 por lagunadelibros A.G. 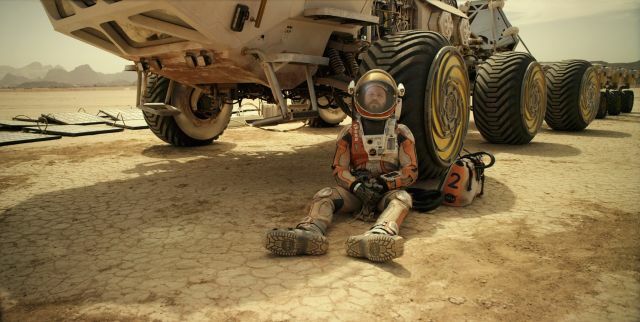 The Martian is set in a very near future, even nearer now with the first Mars mission being planned. A group of astronauts are located on Mars, where they are part of the third Mars mission, codenamed Ares III. Everything seems to be going well until an unexpected storm hits their compound and they are forced to leave, fearing their shuttle could be tilted over. However, on their way to the ship, a piece of an antenna is ripped off and crushes into botanist and engineer Mark Watney. The crew´s captain tries to save him, but ends up having to leave with the rest of the crew, much to her grief. One day later, against all odds, Mark gains consciousness. He had miraculously survived, but is now stranded on a barren planet. He will use all his wits and his never ending flow of ideas to keep himself alive until he can be saved. On his side will be millions worth of NASA equipment, less than 200 days’ supply of food, potatoes, 70s TV shows and tons and tons of disco. He is basically doomed. 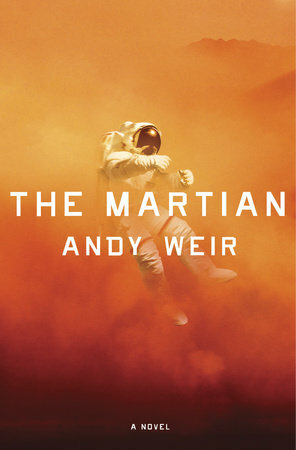 The Martian is written by Andy Weir and tells the thrilling story of astronaut Mark Watney. I absolutely loved this book, even more than the film, which I thought impossible. This book has surprisingly affected my life in a big wa y, as it has made me start to love science. The book is filled with realistic scientific problems which the brainy problem solver Mark will solve, much to the delight of the reader. It manages to give advanced scientific explanations without boring or losing the reader. If you have already seen the film, fear not, as there appear many more challenges and feats for Mark to accomplish that do not occur in the film. Now, to probably the best part of the book by far. It is absolutely, hilariously funny. This book will have you nearly continuously laughing, you will never stop smiling and it will always lighten your mood. It beautifully blends humour and the seriousness of the situation. Not only will you love Mark´s personality, but you will also admire and laugh along with the brilliant and nerdy NASA scientists. This book is all a reader could want and I cannot recommend it enough. It mixes science, space exploration, humour, good characters, well written plot and adventure. One of my highlights of the year. ASSESMENT: I give it: 10/10 points. 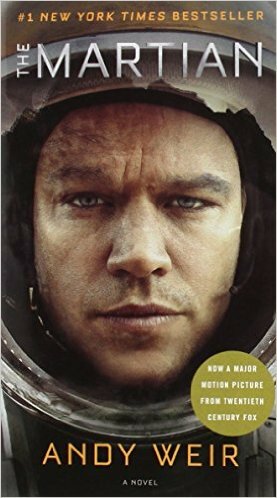 RECOMMENDATION: The Martian is best known for the 2015 Ridley Scott hit that came out in October and received great critical acclaim, starring Matt Damon. When I first thought about reading this book I was very sceptical as I was one of those who had loved the film and I could not get into my head the idea of it being a book. It came into my hands as a Christmas present from a friend of mine. I decided to give it a go, thinking it would not be any good, and, boy, was I wrong. Publicado el marzo 11, 2015 por lagunadelibros A.G. 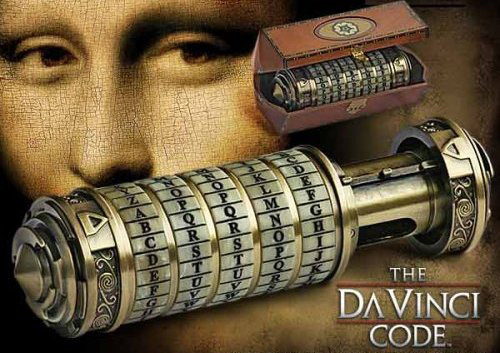 The Da Vinci Code is a fast- paced thriller set in modern day times. Robert Langdon, a famous symbologyst, has agreed to meet the director of the Louvre to discuss a controversial issue on the importance of the female figure in ancient cultures and religions . Everything will change when the director is found murdered with an ancient symbol carved on his chest. As all evidence points to Robert, he is forced to escape only to be plunged into a series of events he could never have imagined and the quest for the Holy Grail itself. He will not be on his own, Robert and the good looking French cryptologist Sophie Neveu, the director´s niece, will work together to uncover the truth and defend it from those who wish to conceal it. Treason, secret orders, assassins, car chases, pagan rituals, conspiracies our some of the ingredients of this novel, that tells about a secret hidden for centuries guarded by the Priory of Sion. This absolutely gripping thriller set in Paris and London is a brilliantly well written book that you won’t be able to put down. 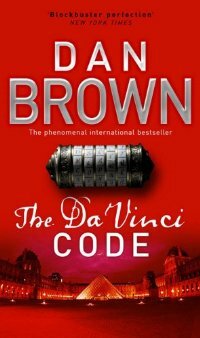 The great strength of this book is mainly how Dan Brown combines ancient secrets and modern day threats, all of this joined together in this page turning blockbuster. Usually thrillers are too violent and gruesome making them unsuitable for young readers, but not this one. It has an intelligent and terribly clever plot that will not let you down. I loved how the chapters would always leave you on the edge of your seat. My only criticism is that sometimes the author takes too long to explain things because he uses very short chapters changing from one character´s point of view to another´s. RECOMMENDATION: I recommend it for readers aged 12 and over, including adults and particularly for those with an interest in history. It will not disappoint. Publicado el junio 5, 2014 por lagunadelibros A.G. It is an historical essay about the Spanish culture of the 15th century. It tells the life of Isabella of Castile and Fernando II of Aragon from their childhood to their death, including the number of children they had, the problems they faced, among others lakie the way Isabella became queen with the help of some nobles. 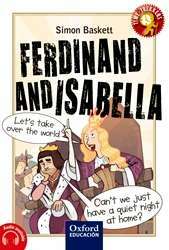 In this book, we have learnt why the wedding of Ferdinand and Isabella was so unusual, and why they were granted the title of “Catholic Monarchs”. The book also adresses foreign affairs they dealt with, like the alliances they set up with other European kingdoms in order to isolate France, such as abundant information about their greatest achievement: the discovery of America. 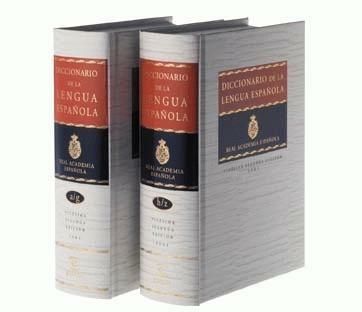 Personally, we think that it is a very interesting book about Spanish culture. We think that all Spanish people should know how the life of Isabella I of Castile was as she is probably our most outstanding historical character and played a main role in some events. In our opinion this book is a bit difficult to understand. My partner and I have had to read each chapter twice. ASSESMENT: We give this book 9 points. RECOMMENDATION: We recommend this book it to people aged 13 and older. Publicado el mayo 29, 2014 por lagunadelibros A.G.
It´s Christmas Eve in London but mean, old Ebenezer Scrooge ins´t celebrating. In his opinion, Christmas is “a waste of time and money”. 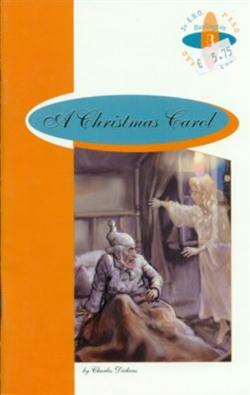 That night, he has a strange experience: four ghosts visit Scrooge and show him his past, present and future. Gradually, Scrooge begins to understand that he has to change. We think that this book is amazing, because it teaches us how we can change with people´s help. It also has a different point of view: the view of a mean old man that hates Christmas. It´s easy to read because it is a mixture of narrative and dialogue. There are several secondary characters but the main ones are Scrooge and the three ghosts: one from the past, another one from the present and the third one from the future. RECOMMENDATION: We like this book and recommend it to people aged 13 and older. 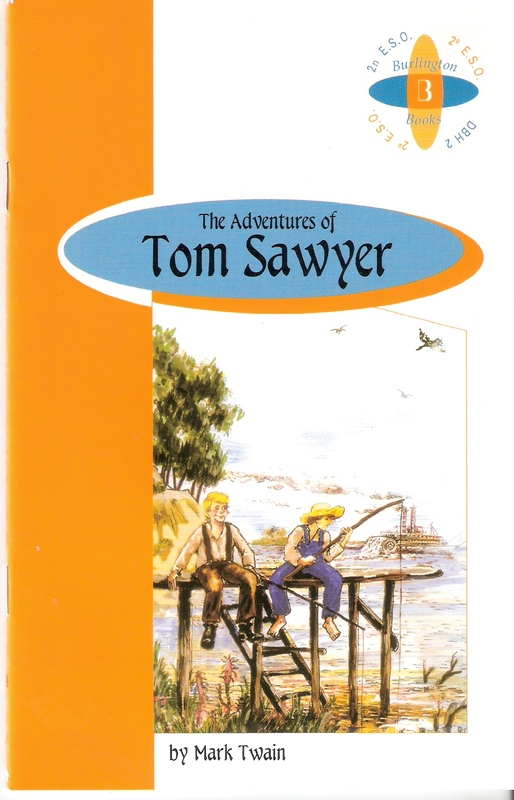 Publicado el mayo 26, 2014 por lagunadelibros A.G.
Tom Sawyer is a book based on a true history. It tells the adventures of Tom, a boy who likes playing jokes on other people with his friends. He lives with his aunt Polly and his brother Sid along the Mississippi river. They are basically poor. We say that because they live without many material things. He has also many friends like Huckleberry Finn and Joe. In the book, many adventures take place, like that in which they go out to discover things on an island close to the village or when they go to the hill with Becky. We think it´s quite an amusing novel, mainly in the passages about adventures, though we find others hard to read and even nonsense. ASSESMENT: We give it a rating of 7/10 because any person from 10 to any age could understand it but they couldn´t if the boy/girl were younger. RECOMMENDATION: It is a compulsory reading in Secondary Education Second Year, but you can read it if you just like the stories of old adventures in English. This book is also a bit adapted because it doesn´t tell everything. e.g All the discussions between Tom and his aunt. Publicado el mayo 25, 2014 por lagunadelibros A.G. 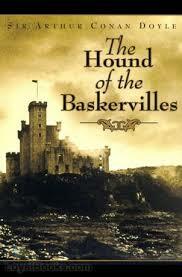 This book talks about a person who works as a lawyer, and he goes to Dracula’s Castle. When he gets to the castle, Dracula wants to kill him. He and his friends (Doctor Seward and Van Helsing) have to kill him. This is such an interesting book because of some amazing scenes that it includes. 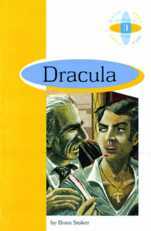 The book´s best character is Dracula. He and his castle are really terrifying. Some scenes are boring because there isn’t action. But, in general, this book isn’t boring. I had a good time while reading it.